Iraq’s recent decision to remove its customs points between the Kurdistan Region and the rest of Iraq will boost business and trade movement inside the country with affordable prices for people, a Kurdish official said on Wednesday. 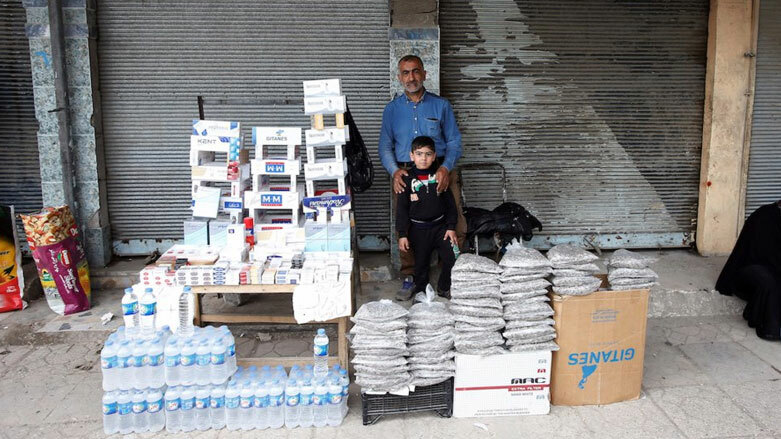 “It is really good news for businessmen because they are paying so much taxes and, as a result, their work has become very challenging in Mosul and other cities due to the high prices [of products],” Ayad Hassan, the head of Chambers of Commerce for Duhok, told Kurdistan 24. He mentioned that over the past few months, business people were being taxed twice: once at the Kurdistan Region-Turkey border crossing and the other between the Kurdistan Region and Iraq in Nineveh and Kirkuk provinces. “The double taxes considerably raised the price of products imported to the Iraqi provinces where most people were buying,” Hussein said. Following the tensions between Erbil and Baghdad as a result of the September 2017 independence referendum, the Iraqi government installed several customs points on the Kurdistan Region’s borders, including on roads between Erbil and Kirkuk, Sulaimani and Kirkuk, and Duhok and Mosul, to charge fees on products brought to the area from the semi-autonomous Kurdish region. On Tuesday, the Iraqi Federal Government issued a letter to the customs point known as Faida in Nineveh, and both Shirawa and Laillan points in Kirkuk, instructing that work be suspended at all three sites. These developments come after improved relations between Erbil and Baghdad, which spiraled to their lowest point in years after the Kurdistan Region’s independence referendum last year and the subsequent military takeover of areas disputed between the two administrations. “The removal of the customs points will boost business, trade, and investment activities in the rest of Iraq,” Hussein stressed. “Mosul, in particular, nowadays, needs almost everything. People in Nineveh can afford to buy products at lower prices when the decision is implemented,” he added. Over the past few months, people in the disputed province of Kirkuk have repeatedly expressed their concerns about the customs points on the Erbil-Kirkuk, and Sulaimani-Kirkuk roads, complaining that the poor become the victims.